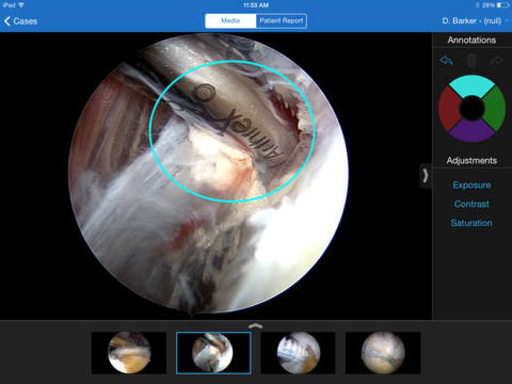 The Synergy Surgeon Application from Arthrex enables surgeons to download digital stills from the Arthrex Synergy System for presenting and archiving. 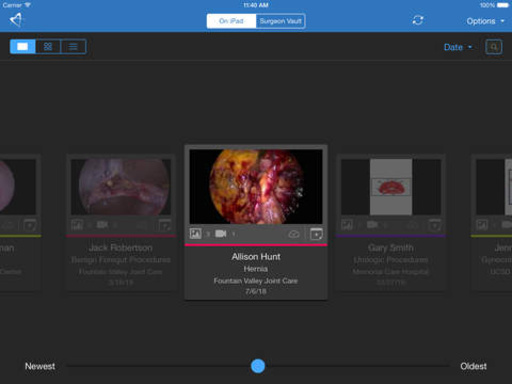 Annotations can be added to the digital stills enabling a more educational presentation to the patient. The application includes a report generator in which web site links and selected digital stills can be added and sent to a referring physician or the patient directly. 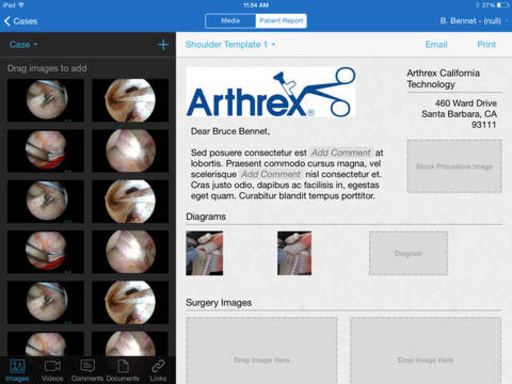 Arthrex Synergy Surgeon App is compatable with the iPad 2nd generation or later. The app requires iOS 8.0 or later. Added ability to move and/or resize existing annotations.